Rick R. Staggs, CFP®, AIF®, entered the financial services profession to help people in our community achieve more of their life goals through sensible financial strategies and investment decisions. Our firm will take the time to assess your current financial situation and help you establish your priorities for the future. Together, we will explore your options. Then, we will recommend a course of action that makes financial sense for you based on your specific financial service needs. Our reputation for excellence is based on our long-term commitment to help provide our clients with quality financial planning and investment advice and services. To this end, Mr. Staggs and his competent staff, along with a referral network of independent financial service professionals, are dedicated to upholding the highest standards of objectivity and ethical behavior. We take a relationship-based approach to providing clients with life-long support and service, and we look forward to working with you to help you improve your financial future. Rick R. Staggs, CFP®, AIF® entered the financial services profession in 1983 and was affiliated with MML Investors Services, Inc. In 2003, he founded RiverPark Financial Group to better serve the growing needs of his clients. In 2011 Rick affiliated with Commonwealth Financial Network, an award winning broker/dealer specializing in working with independent financial advisors. Rick received his CERTIFIED FINANCIAL PLANNER™ certification from the College for Financial Planning in Denver, Colorado. He also obtained his Accredited Investment Fiduciary (AIF®) professional designation from Fiduciary360, receiving formal training in investment fiduciary responsibility. Rick has extensive knowledge and is well established in the industry. He is a frequent speaker at educational workshops throughout California. He has been the keynote speaker for the US Department of Agriculture, Internal Revenue Service, and the Fresno Economic Opportunity Council. Rick has served on many civic and social organizations. He is active in the Central Valley Financial Planning Association (FPA), where he has served on the board as past president and chair. During his tenure as the president of the FPA, the chapter received national recognition by achieving the gold award, the highest award given to outstanding chapters. Rick and his wife, Inez, have resided in Fresno since 1980. They have one son, Henry; a grandson named Charlie; and two dogs, Baby (Cocker Spaniel) and Miley (Cavachon). 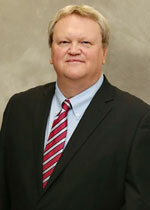 Jaime Hinson has been with the firm since 1995 and manages the day-to-day operations as an executive associate. 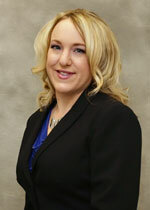 She handles the bulk of new life insurance business along with in-force policy services. 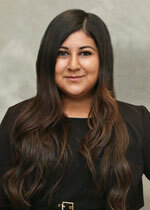 Jaime provides investment account client services as well, and possesses a strong focus on addressing clients' needs. Jaime obtained a BS in business administration, marketing option, from California State University, Fresno, in May 2002. She holds a California license for life and health insurance. Jaime is also a notary public for the state of California. She plans to obtain her FINRA Series 7 securities registration to become a registered sales assistant later this year. Jaime lives in Madera Ranchos, California, with her husband, son, and three dogs. She enjoys raising money for various charities, gardening, and horseback riding. 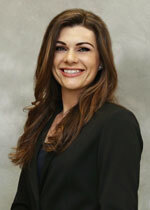 Priscilla Aivazian joined the team in 1998. As a registered assistant, she is primarily focused on the investment side of our business. She is responsible for the day-to-day support of our clients, including timely and accurate transferring of financial transfers, wires, EFTs, and check services. She also provides broker administration support such as new account setup and account changes. Priscilla holds a FINRA Series 7 securities registration as a registered sales assistant with Commonwealth Financial Network®. She also holds a California license for life and health insurance. She lives in Fresno, California, with her husband and two children. In her free time, she enjoys cooking, traveling, and spending time with friends and family. Martha Molina started working for our firm as a student intern in 2012 through the ROP program at Duncan Polytechnical High School. She works with us while continuing her college education. Martha is an integral part of our client communications and services, and handles our office technology as well.